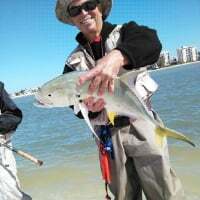 Pompano Bch - 30 Nov 2018 - I Launched off around 5am and found Goggle-eye bait fishing slow, but was able to find runners for the live well off structure out deeper. On the way out , I landed one short King Mackerel, and had a larger one pull off while trolling a yozuri crystal minnow in about 40ft of water. 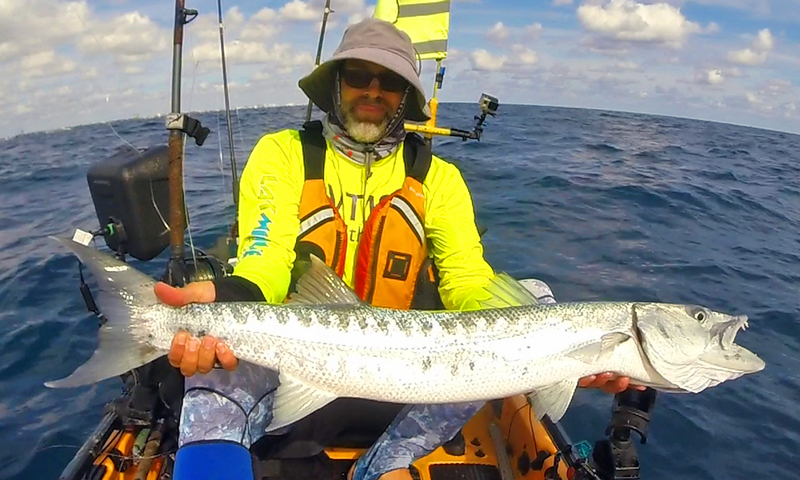 First live bait out found a Barracuda, as did the next few baits. Vertical jigging was slow. 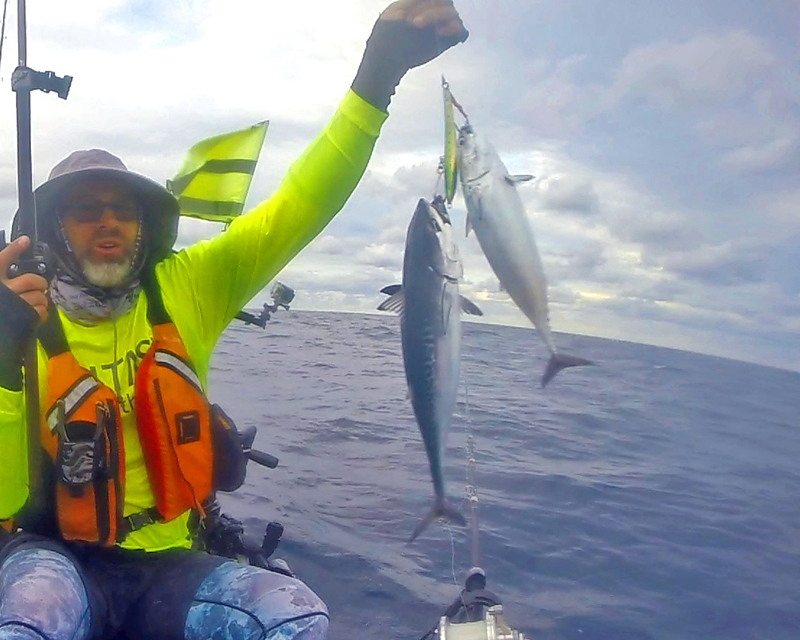 I did not find the medium sized Blackfin Tuna that have been the main take home of other recent kayak fishing trips. Instead I found a few Little Tunny, and overall slow fishing. That was until my flatline live bait rod doubled over and the reel started screaming. It was a classic Sailfish strike, but to my pleasure, A nice Mahi Mahi was on the other end of the line. 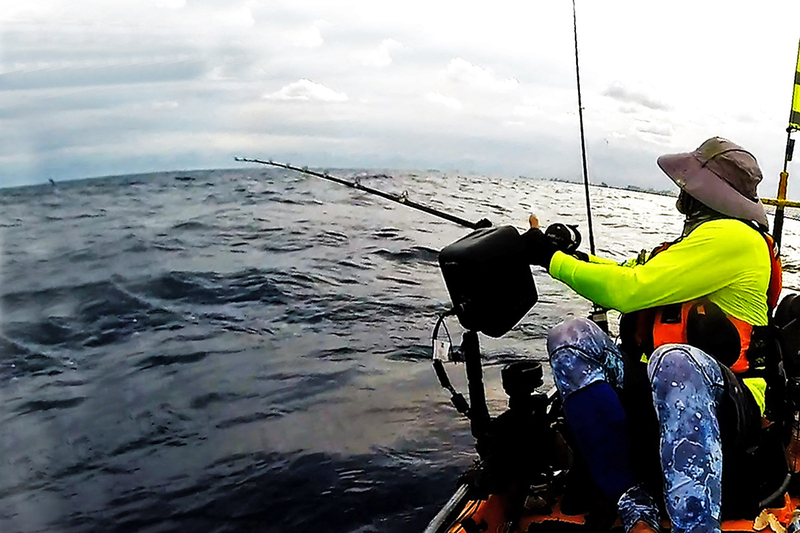 The bull put up a good fight, harder than some sailfish I have taken of double the weight. After a worthy battle, the trip was made with a Mahi Mahi for dinner ! Nice report! Thx for the great pics! 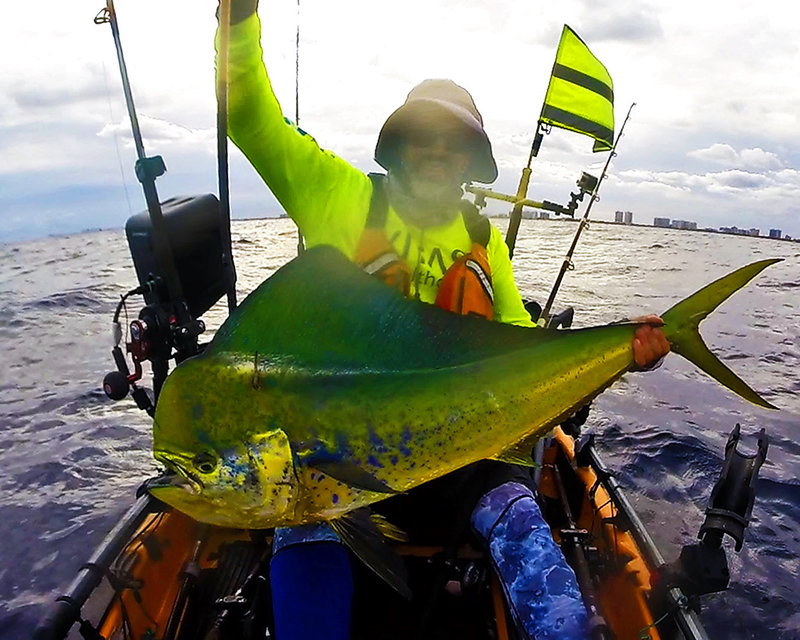 wow way to stick it out that is a mahi that would make the big boats jealous! how do you rig the live baits? Thanks, Standard king Mackerel Stinger rig.... Gotta use it cause you never know what might hit the line. LOL, Thanks Chris, no more a legend than anyone else who puts there time in. Have not seen you on the water in a long time ? Sailfish season again....get out there and cross it off the bucket-list. thanks i thought with clear water it would deter bites but in my experience even leader shy fish like tuna will grab a live bait on wire, guess they cant resist! I imagine when we are getting bit on wire leader rigs by tuna, there must be a good quantity of hungry fish eyeing the bait. I believe the competition among predictors causes one of them to make a fatal mistake. No wire will definitely raise the chances for bites in clear water, but my kayak does not have the live bait capacity to do that style of fishing.